When Uttar Pradesh assembly election 2017 is getting ready to electios new Assembly, Chandauli is not anywhere behind in the election heat. Chandauli District is a district of Uttar Pradesh state of India, and Chandauli town is the district headquarters. 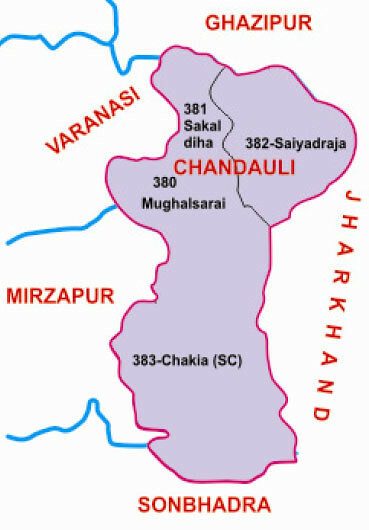 Chandauli district is a part of Varanasi Division.Chandauli became a separate district for the first time on May 20, 1997. However, after coming into power, Mayawati dissolved it on January, 2004 and ensured its merger again in Varanasi. But, the decision was challenged in the high court after which its recreation was ensured on June 17, 2004.